Communism has cast a long shadow over Romania. The passage of little over a quarter of a century since the overthrow in December 1989 of Romania’s last Communist leader, Nicolae Ceaușescu, offers a symbolic standpoint from which to penetrate that shadow and to throw light upon the entire period of Communist rule in the country. 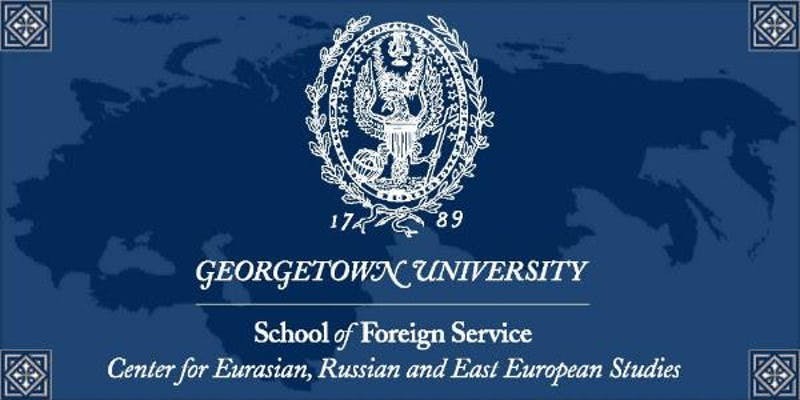 Dr. Deletant is currently Visiting Ion Ratiu Professor of Romanian Studies at Georgetown University and Emeritus Professor of Romanian Studies at the School of Slavonic and East European Studies, University College, London. He is the author of several monographs and volumes of studies on the recent history of Romania, among them Ceauşescu and the Securitate: Coercion and Dissent in Romania, 1965-89 (London; New York, 1996), Communist Terror in Romania: Gheorghiu-Dej and the Police State, 1948-1965, (London; New York, 1999), Ion Antonescu. Hitler’s Forgotten Ally (London: New York, 2006), and British Clandestine Operations in Romania during the Second World War. In October of this year he was awarded the Order of the Star of Romania, the country’s highest civilian honor, by President Klaus Iohannis, for his contribution to Romanian studies. Ion Augustin Nicolae Raţiu was born in Transylvania in 1917 and was the son of Augustin Raţiu, a successful lawyer who became leader of the Romanian National Party. In 1940, Ion Raţiu joined Romania’s Foreign Service and went to London as a chancellor at the Romanian Legation. Later that year, Romania’s decision to align with the Axis powers appalled Raţiu, who resigned his post and obtained political asylum in Britain. In exile in London after the Communist takeover of Romania in 1946, Raţiu threw himself into the struggle against communism, becoming a regular contributor to the Romanian Service of the BBC, Radio Free Europe, and Voice of America. In 1957, his book Policy for the West radically challenged contemporary western views of the nature of communism. He went into shipping and later into real estate, and continued publishing. He returned to Romania in 1990 where he had a failed bid for the presidency. He did become a member of the Romanian Parliament and served as both deputy speaker of the Chamber of Deputies and as Romania’s roving ambassador to NATO. Ion Raţiu died in January 2000. His funeral, in his home town of Turda, was attended by more than 10,000 people.